DNA testing has become a popular topic at genealogy meetings. Why should we take a DNA test? How can DNA testing help us with our genealogical research? If you have brick walls, DNA testing may give you clues to unlock these secrets. This program should answer some of your questions and make you think about a few more. The presentation discusses a process and format that helps make your research efforts more efficient and makes the results easier to read and digest and share. Your information will “come alive” for everyone. Please note that this presentation is not a How-To on publishing a book or organizing your file cabinet. It instead will discuss how to organize the information extracted from your documents and family oral history. The first part of my presentation will review a simple method of organizing research into readable documents so everyone can understand. It will also cover some sources of information that are non-traditional that can add some rare treasures to your history. The last part of the presentation will discuss my more advance format that can add many interesting pages and make your history a must read for most of your family. America is a land of immigrants. Most arrived on the East coast and eventually pushed westward towards the Mississippi River and beyond. This migration was made possible by trails cut through the wildness and then the use of barges on the rivers. The number of new settlers increased after the American Revolution and was helped by the Erie Canal and the construction of the railroads. The migration trails did more than open the door to the west. The need for more and better transportation led to the demand for more wagons, barges and more importantly for railroad equipment and supplies. This is more than the story of the settlement of the Midwest and western states but the explosive development of the Industrial Revolution in America. This program will try to show how our immigrant ancestors were one of the forces that caused all of this. Before you spend countless hours doing unproductive research, learn about a proven process that will guide your search for your family history. Steve will draw upon his experience to describe his method that will make your efforts more successful. Internet resources and traditional archival research efforts are both covered. Steve will discuss most of the major online resources and methods to find many more resources. Unlock some of the secrets to be found at websites, such as FamilySearch, Ellis Island, Find a Grave, Ancestry, Heritage Quest, and much more. Discuss the use of message boards and online family trees to help solve brick wall problems and discover some European resources. The program reviews various advanced search techniques that he has used to overcome challenges finding those difficult documents. Learn techniques to solve your brick walls. Overcome problems with the spelling of surnames; learn to search in the correct location and review cases that will help unlock the early U.S. census records. Census records are constantly being used by genealogy researchers to add ancestors to their family trees. This session will look beyond the first couple of columns and review the wealth of information that can be found in the US census records. It will discuss ways that you can garner each morsel of information from records from 1850 to 1940. The presentation will also discuss ways to deal with the lack of information in the census records for 1790 through 1840 and give you ways that may help you identify which records belong to your family. Do you have Chicago Ancestors? This program reviews what sources are available and where they can be found. Databases discussed will include vital records, church records, state records, federal records, employment records, histories of the neighborhoods and much more. The sources that are reviewed will include online websites, genealogy collections held at the major libraries, collections at local libraries and collections compiled by area genealogical societies. Find your immigrant ancestors naturalization papers and to see the beginning of your roots in America. This program starts with the history of the naturalization process and a review of the requirements. Steve discusses where your ancestors were naturalized which is the key to finding their documents. Traditional and online sources are discussed. This program is designed to be two one hour sessions. I will use the two programs to discuss in detail how I found the Polish records for my grandmother’s ancestors. The examples will cover many European countries and not only Poland. The first part will focus on how to find the location of the birthplaces of your ancestors. It will discuss which records to search and some tips on how best to search US records for clues. The second part will focus on how to find the vital records for your ancestors in the “old country.” I will also discuss tips I used to translate them. I will also share some resources that go beyond the traditional documents that have enabled me to gather documents, pictures, and information that has enriched my understanding and knowledge of my heritage. The presentation will be applicable for researchers of most European backgrounds and not just those of my ancestry. This presentation will give a brief description of how I found the name and location of my grandmother’s birthplace but will focus on how to find the vital records for your ancestors in the “old country.” I will discuss in detail how I found the Polish records for my grandmother’s ancestors and tips I used to translate them. The examples will cover many European countries and not only Poland. I will also share some resources that go beyond the traditional documents that has enabled me to gather documents, pictures, and information that has enriched my understanding and knowledge of my heritage. The presentation will be applicable for researchers of most European backgrounds and not just those of my ancestry. When did your ancestors immigrate, where did they leave, why did they leave, how did they get here? These are questions we all hope to find the answers. This presentation studies the history of Europe and gives some insights to possible answers to the questions about your ancestors’ immigration. The material will hopefully clear up your confusion of where and why your ancestors left. When did your Polish ancestors immigrate, where did they leave, why did they leave, how did they get here? These are questions we all hope to find the answers. This presentation studies the history of Poland and gives some insights to possible answers to the questions about your ancestors’ immigration. 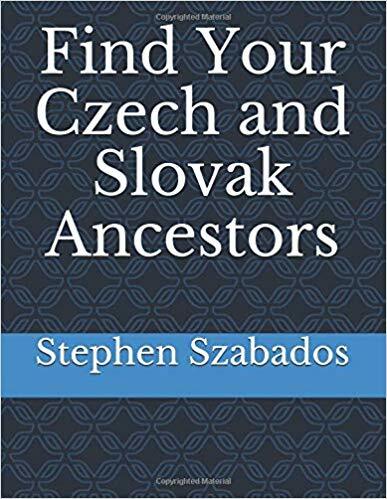 All three Polish partitions are covered and the material will hopefully clear-up your confusion why your Polish ancestors listed that they were born in other countries on early U.S. documents. Where do you start your research of your Polish Ancestors? Finding your Polish ancestors is a challenge. This presentation simplifies the confusing elements of Polish research: border changes that confuse us on where our ancestors were born. Logical steps are given on how to search for Polish documents, where to find Polish documents, and translating Polish documents. This material will jump-start your research and help you enjoy your Polish Heritage. This program is designed to be two 1 hour sessions. I will use the two programs to discuss in detail how I found the Polish records for my grandmother’s ancestors. All of the examples will be of my Polish ancestors. The first part will focus on how to find the location of the birthplaces of your ancestors. It will discuss which records to search and some tips on how best to search U.S. records for clues. The second part will focus on how to find the vital records for your ancestors in the “old country.” I will also discuss tips I used to translate them. I will also share some resources that go beyond the traditional documents that have enabled me to gather documents, pictures, and information that has enriched my understanding and knowledge of my heritage.